The key to throwing the ultimate Big Game party is to plan ahead and remember that all parties share one common denominator: they’re supposed to be FUN! Who’s invited? It’s not a party until you invite guests. There will be a bit of competition on where to celebrate, so you might want to get those invites out now. Next, how many people do you want to invite to your apartment? Crowd control is the last thing you want to be worried about after the party has already begun. You don’t want a crowd that’s so loud and large, no one can hear what the score is or see the TV, but you do want enough of a group for a substantial cheering section. Typically, everyone should have a seat with room for a few people to stretch out on the floor. Don’t place too much emphasis on mixing and matching the perfect group of friends and neighbors; watching the game together provides plenty of common ground. Prepare your space. Rearrange your space to accommodate the extra guests and put away any breakables. Nothing stops a party in its tracks like a shattered family heirloom. Also, consider moving food and drink tables to a more accessible area if you have a smaller kitchen so you can keep the festivities moving. Add to game day with even more games. 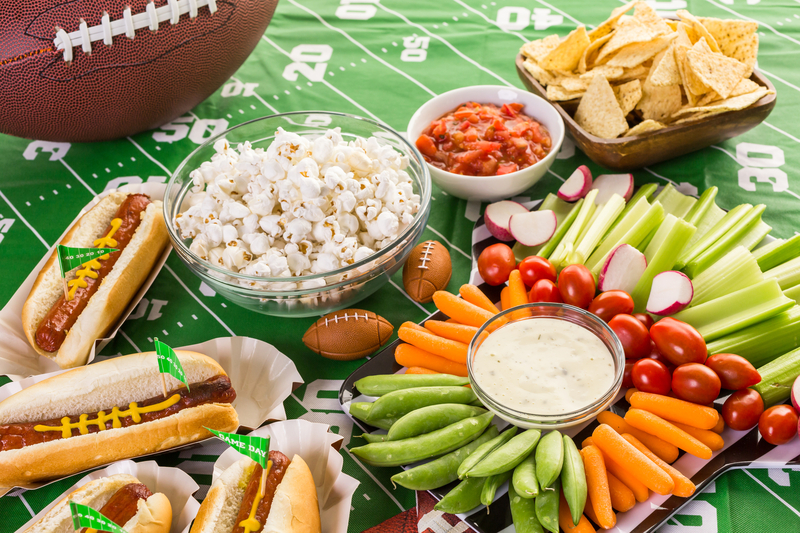 Here are some ideas from Good Housekeeping’s “15 Best Super Bowl Party Games.” Or, you can all take turns quizzing each other on sports trivia and assign a point system. The loser has to clean the kitchen! What are your ideas for throwing the ultimate party for the Big Game? Tell us all about it at #LifeatWeidner.